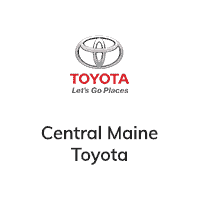 Here at Central Maine Toyota, we pride ourselves on providing drivers from all over Maine with the type of car-buying or -servicing experience they deserve. Our Toyota dealership in Waterville, ME, is a part of the Central Maine Motors Auto Group, which has been thrilled to serve the community for more than 80 years. Throughout our many years in business, we’ve built a reputation on our expertise and kindness. Customers come to us time and time again because at Central Maine, they’re treated with respect and honesty. Whether you’re visiting our Maine Toyota dealership in search of a new or used Toyota, you’ll find that we offer a wide variety of Toyota vehicles for sale. We’ll work with you to pair you with the best one that suits your budget and lifestyle. Then, down the road you can always rely on us for quality Toyota service and repairs. We’re here for you and your vehicle whenever you need us, and always eager to work with you! One of the reasons that customers travel from all over the great state of Maine to Central Maine Toyota is our incredible No Doc Fee Guarantee. When you shop at Central Maine Toyota, you’ll never have to pay any administrative, handling, storage or doc fees, which means you can save hundreds on your new or new-to-you vehicle. In fact, the Central Maine Motors Auto Group has helped drivers save more than a million dollars over the years! This is just one of the ways we always go above and beyond for our customers. As soon as you visit our Toyota dealer near Bangor, ME, you’ll quickly see everything else we can do for you. Need Another Reason to Choose Central Maine Toyota? Our stress-free, hassle-free sales environment is the perfect place to pick the right new Toyota for you. Central Maine Toyota will give you a free Maine state inspection with your vehicle purchase. Our competitive pricing allows you to save big on your vehicle. On Wednesdays, we offer a 10% senior citizen discount in our service department. We provide you with complimentary Wi-Fi and a complimentary coffee bar to help make your visit more enjoyable. When your Toyota is in for service, you’re welcome to use our provided quiet office spaces, or bring the little ones to our children’s play area. We have a convenient shuttle service to get you to and from your vehicle when it’s in for service.